During the month of April, you can send in all brands of personal care, lip care, and beauty care packaging. Can I only collect Burt's Bees packaging? 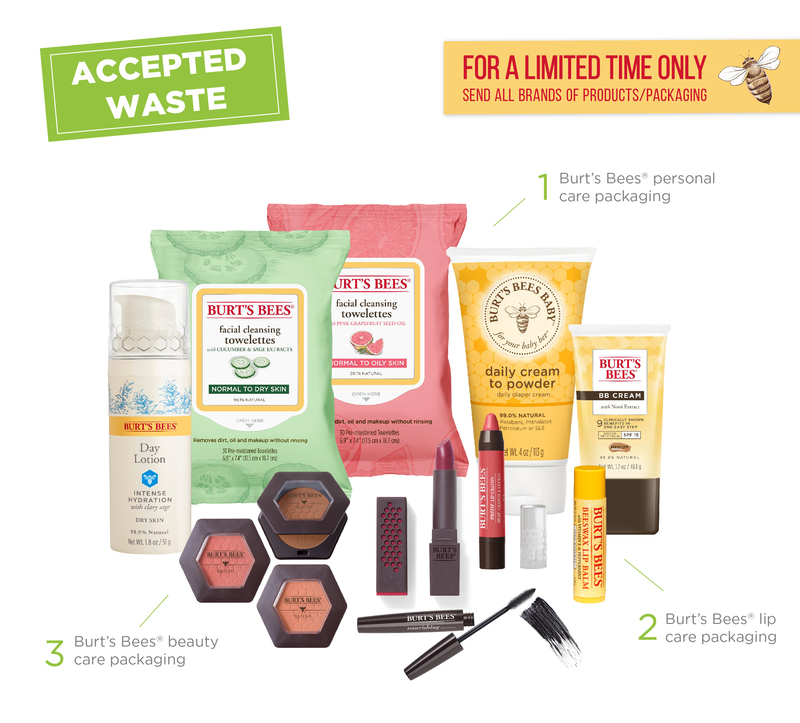 As part of the Burt’s Bees Beauty Cleanse, during the month of April this program will accept personal care, lip care, and beauty care packaging from all brands to be recycled. No, your shipment can be any size. To earn the TerraCycle point donation, however, your shipment must weigh over 1 lb. Remember, the shipment size requirement is applicable only if you would like to earn TerraCycle points. 100 pts per lb will be awarded for shipments over 1lb. After you have joined a TerraCycle Recycling Program, you may print a free, pre-paid shipping label by going to Profile on the top right side of the website. Then click “Send Us Your Waste.” The list of free recycling programs that you are currently registered for will appear. Then select “Get Shipping Label” under the appropriate program. Please note that you will need to be logged in to your TerraCycle account to print shipping labels.